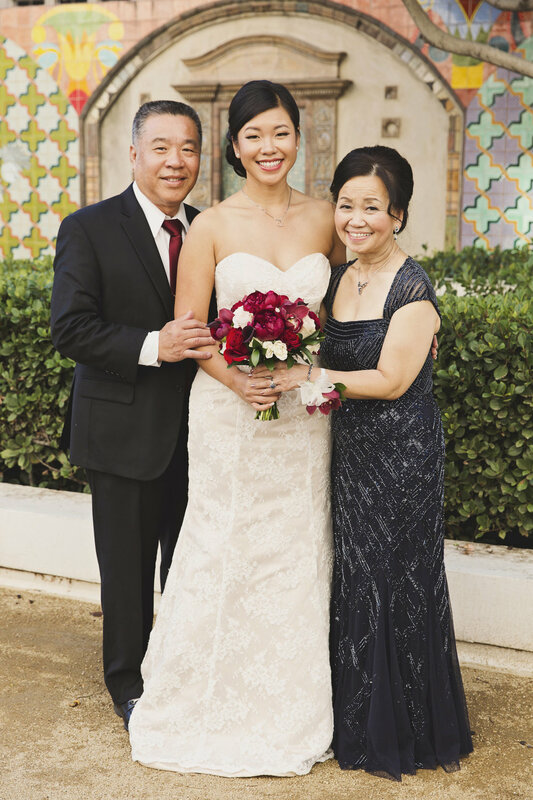 For our bride and groom, Annie & John, combining the rituals of their Chinese culture with American traditions, in a seamless and elegant way, was very important. 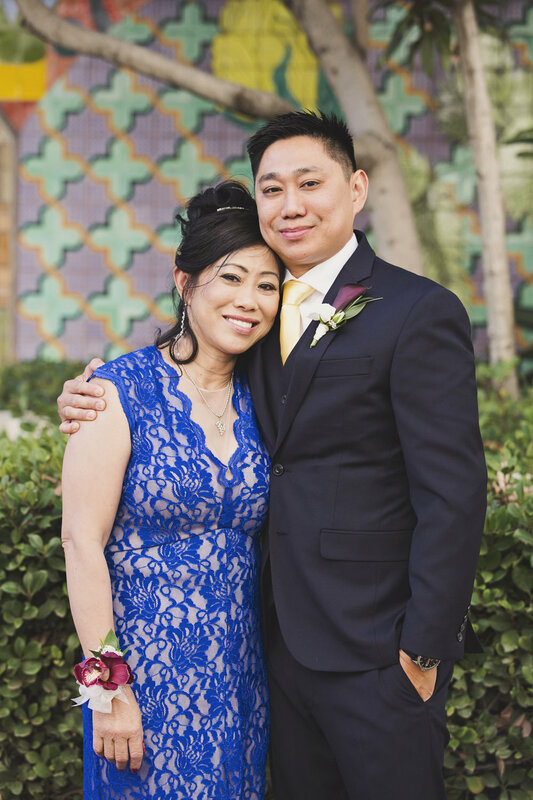 The Sofia Ballroom at Noor in historic Old Town Pasadena with it's art nouveau inspired banquet hall was the perfect choice for them to celebrate old and new customs. Old Town Pasadena is a charming little Southern California town known by most as the home of the Rose Parade. To those more local, it is a hidden gem filled with history and beautiful art deco buildings. Stepping into the Sofia Ballroom at Noor, you feel as though you have been transported to Hollywood in the 1920s. 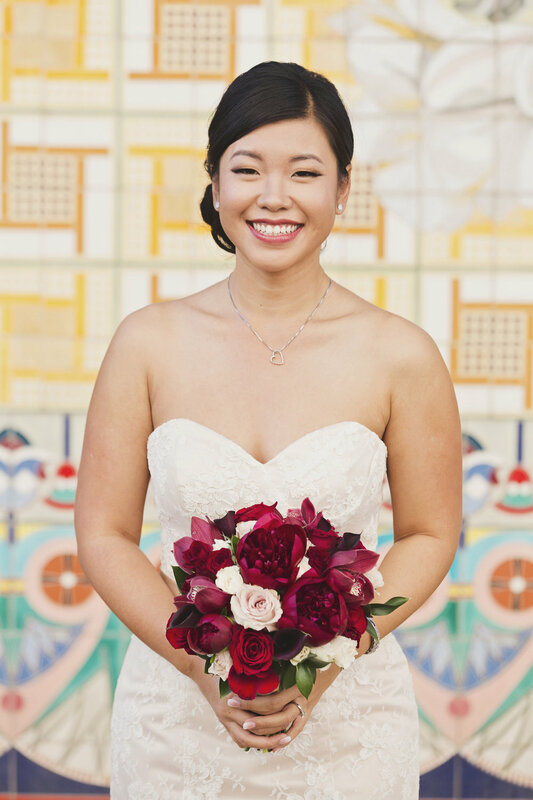 Annie prepares for the traditional Chinese Tea Ceremony in a room decorated with red and with double joy symbols. 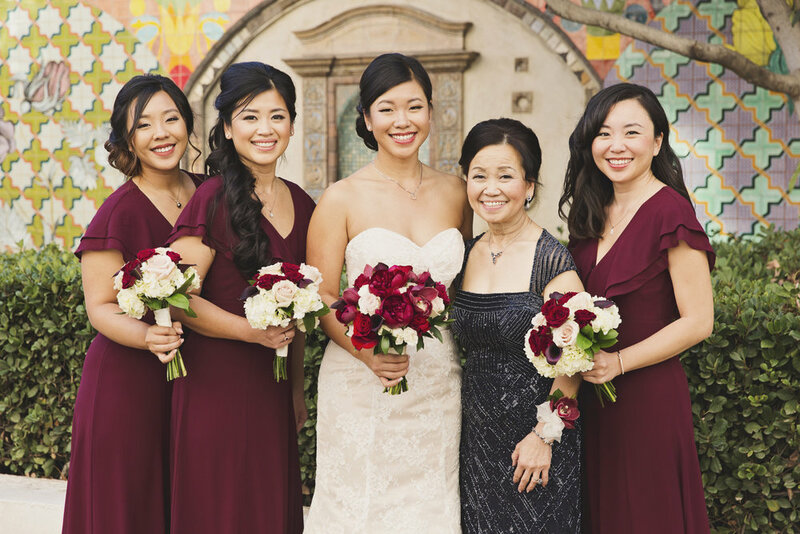 Red plays a vital role in Chinese weddings as it is associated with success, loyalty, honor, fertility, luck, and love. 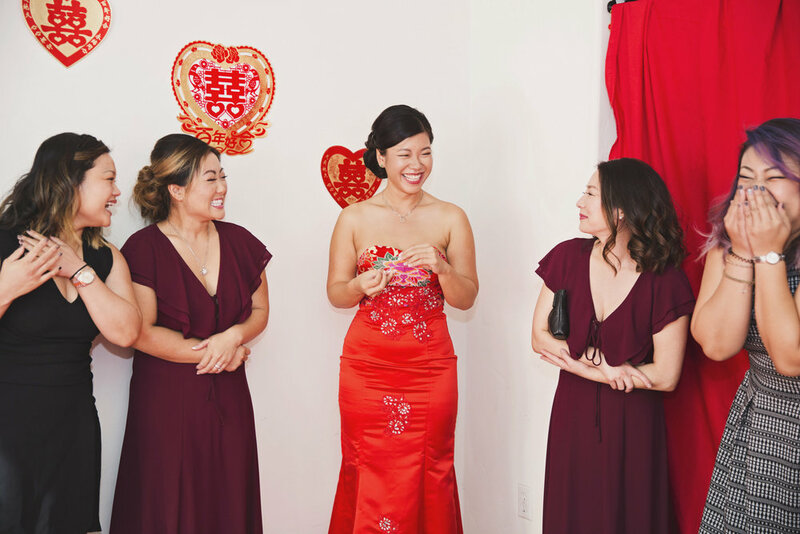 Her red gown, worn to the Tea Ceremony, is a modern take on a very old tradition. 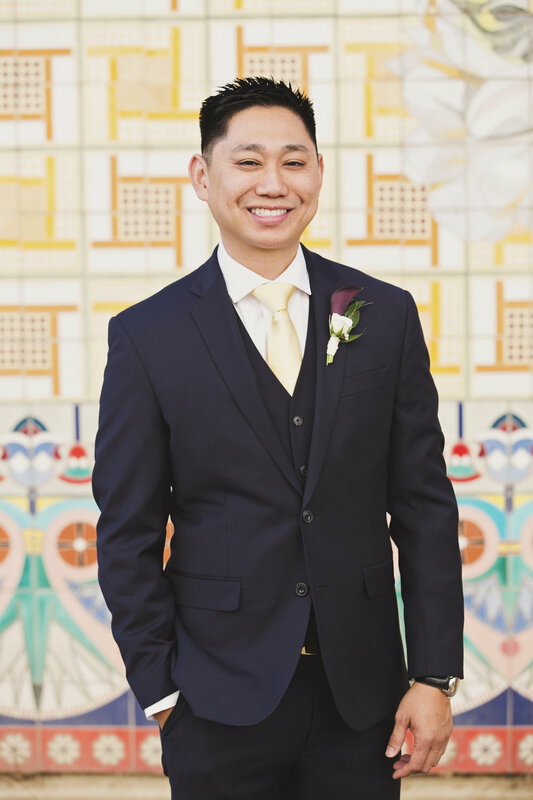 Traditionally, the groom would go to the bride's house to "collect" her before the Tea Ceremony. Here the groom is greeted by Annie, her bridesmaids, and friends. Betrothal gifts are presented to Annie and John. Gifts are usually presented in red envelopes in the form of jewelry and/or money. The Tea Ceremony is an ancient Chinese tradition. The earliest known ceremony took place during the Tang Dynasty over 1200 years ago. 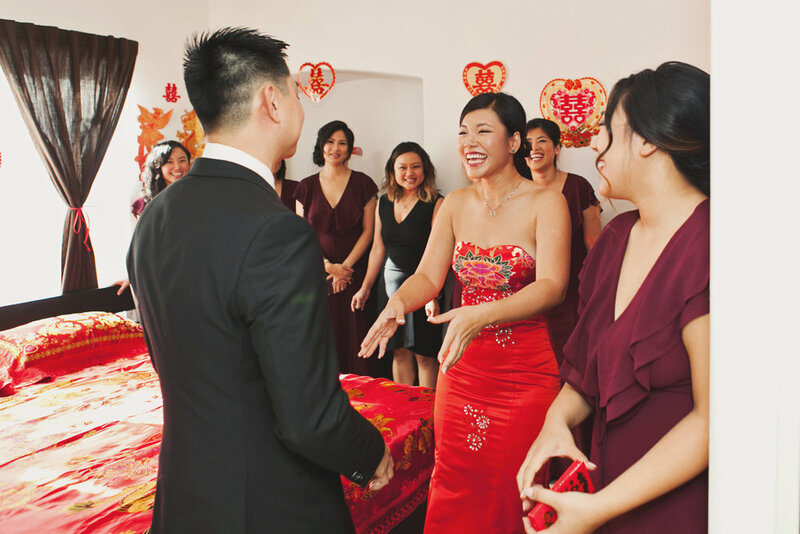 In a traditional Chinese wedding, this ceremony is one of the most meaningful and significant events. 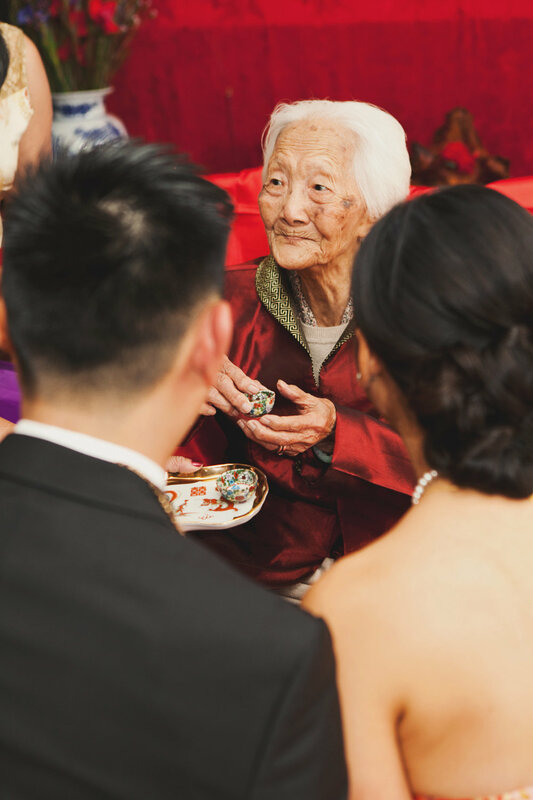 The bride would have served tea privately to her own family the morning of the wedding and then, after exchanging vows, the bride's family would have served tea to the groom's family. 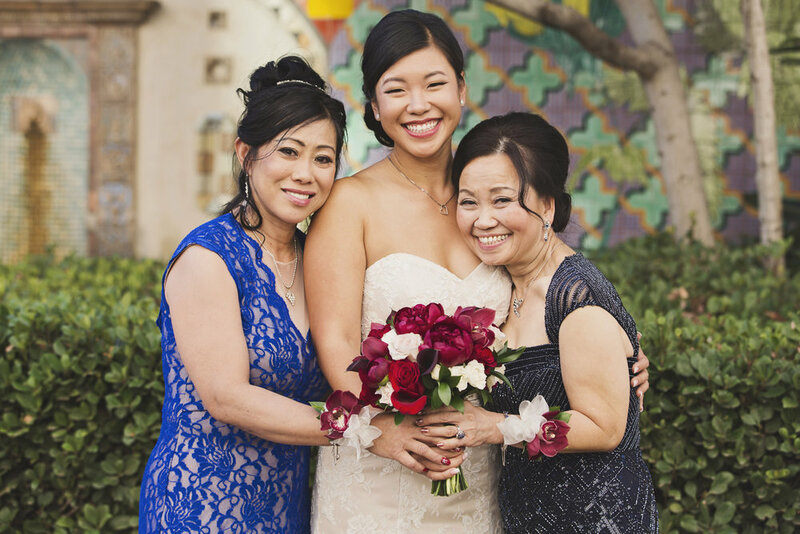 Today, many couples choose to combine the ceremonies to show respect to both sides of the family. 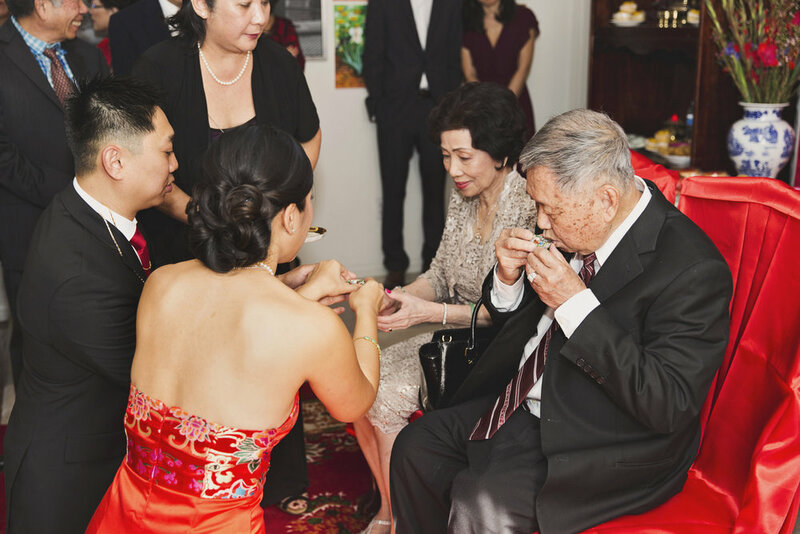 The Wedding Tea Ceremony is meant to be respectful and to show gratitude to the parents for all the years of love, nurture, care, and understanding. Tea is the symbol of purity, stability, and fertility. Purity represents love that is pure and noble; stabilkity stands for faithful love; and fertility represents children. 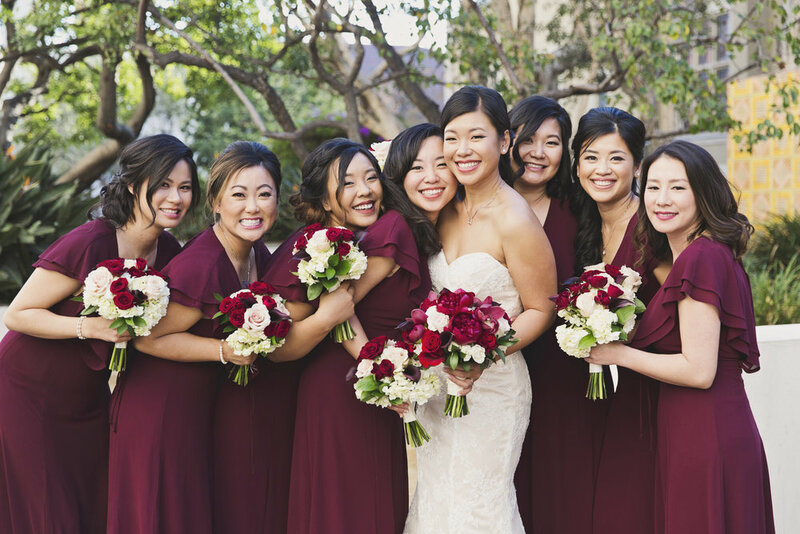 After the Tea Ceremony, Annie changed into her modern bridal gown. The bride's sister and mother help her with the final touches. 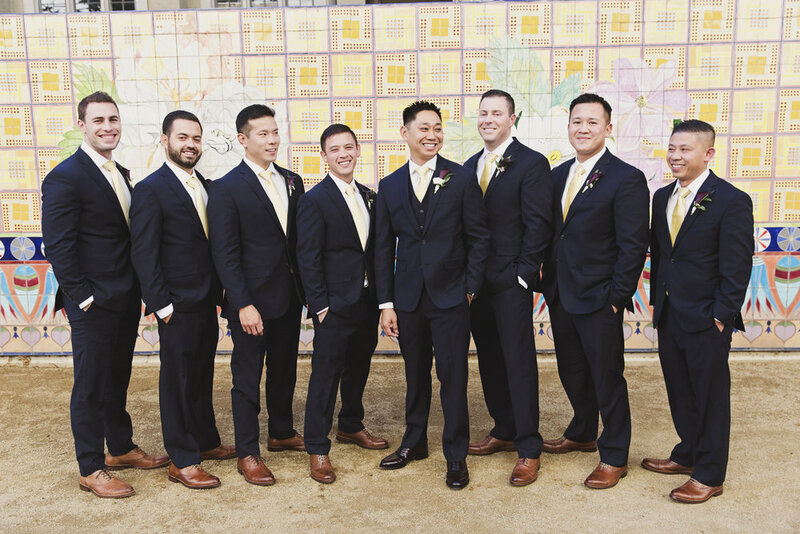 Groomsmen gather to wish the best for the happy couple. Our favorite part before the wedding...the first look! 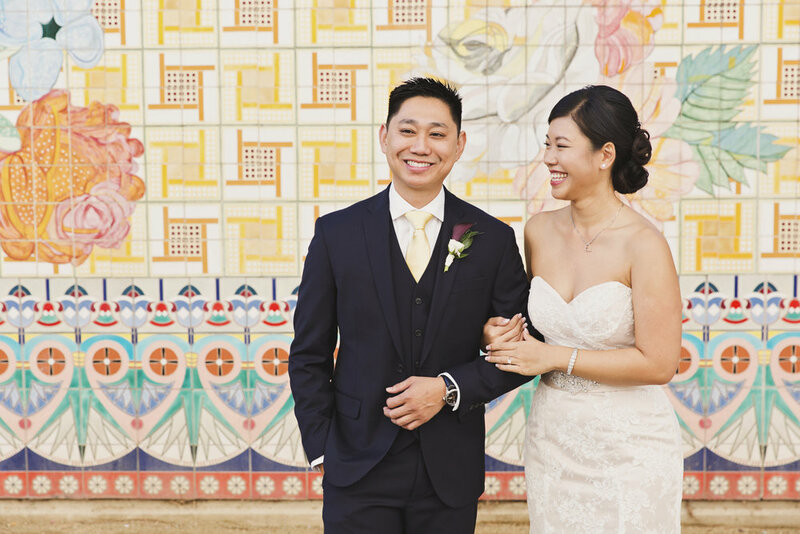 Annie & John meet on the steps of Pasadena City Hall which is a beautiful old building with stunning architecture. 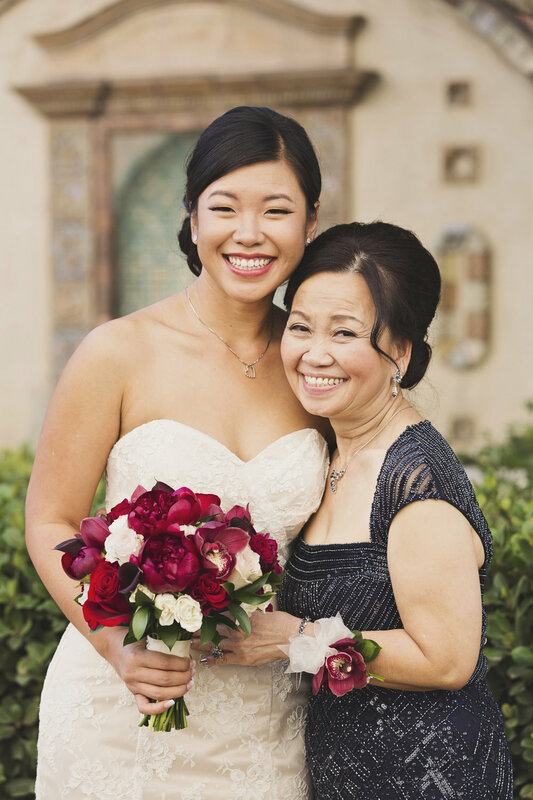 Our bride is gorgeous in her cream colored lace gown with her bold red floral bridal bouquet created by Tangled Lotus. The Sofia Ballroom at Noor served as both the ceremony and reception site. The details in the 1920s inspired ballroom are elegant and classic. 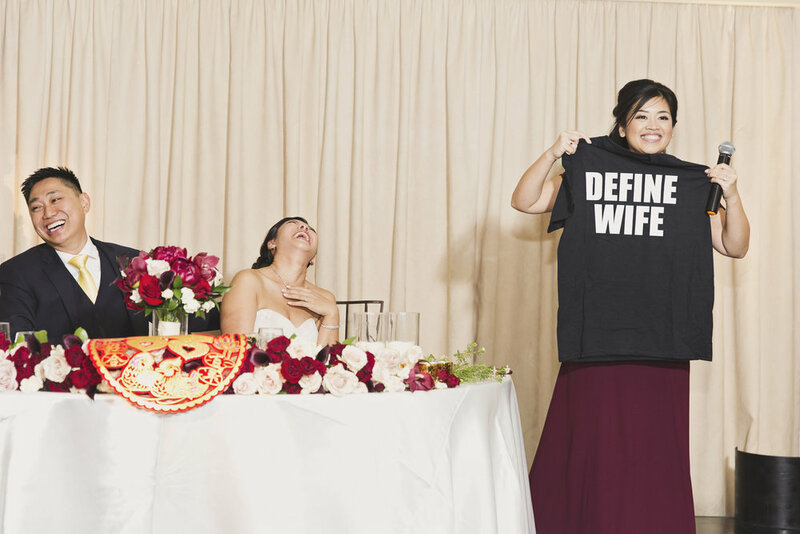 You really learn a lot about a couple during the toasts! A beautiful moment captured between the bride and her father. It is easy to see where our groom gets his winning smile. JJ Gourmet Food did a wonderful job with this traditional white tiered wedding cake. Chinese Cultural Dance entertained the guests with traditional Chinese dances, and of course, dragons! 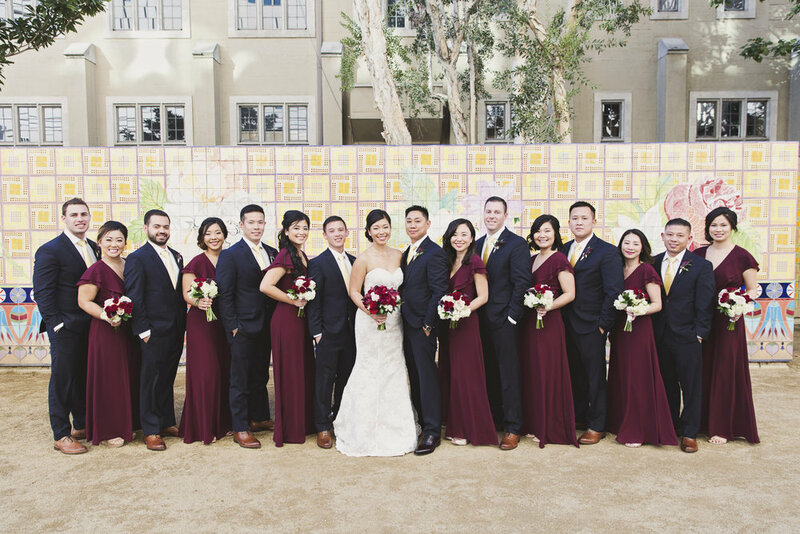 Thank you, Annie & John, for allowing us to be a part of your beautiful traditional and modern Chinese wedding.